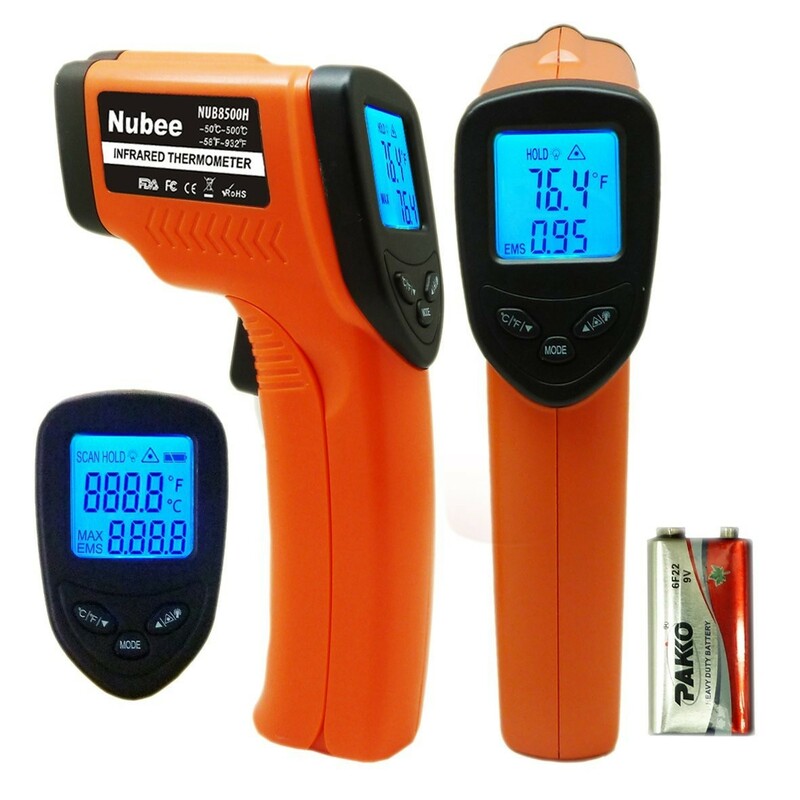 I just got this great temperature gun from Nubee. This is a really well made temperature gun and does a really good job of reading temperatures. It requires a 9 volt battery which is included. Open up the handle to install the battery. There are three function buttons on the front you can use them to change the mode, change between C & F, and hold or scan temperatures. It has the ability to hold and display a control temperature which is great if you are comparing temperatures, as you scan the held temperature will display on the screen for easy comparison. When scan there is a red laser point that comes out of the gun so you can see what you are measuring. It reaches a really long ways as well which is nice. I like that you can get an accurate read on what you are pointing at. I tested mine with a regular thermometer to check accuracy and it was accurate to the exact temperature. The design is really easy to hold and use, the trigger is easy to get to and use and the long handle makes it comfortable to use. Great design and well made.